I always love a change to practice braiding! I have been developing my hair braiding skills for more then a few years. That's how I met Brenda the Braider! In a hair braiding class! I used to get in touch with her every couple years just to get another one-on-one lesson and refresh my braiding skills, but since Park(ing) Day 2012, Brenda has been here in the Morphic studio a couple times a month braiding it up and teaching me on the side! I've learned that it's one of those skills where if I don’t use it, I lose it. It really didn't sink in until this past year, when I opened up my schedule for a weekly braiding model. Currently, I practice braiding every Tuesday morning at 10:00. When I get my model in the chair, I usually look up some inspiration from a quick Google search and get to work. My clients love getting a hip style that can hold up in this windy, foggy city! 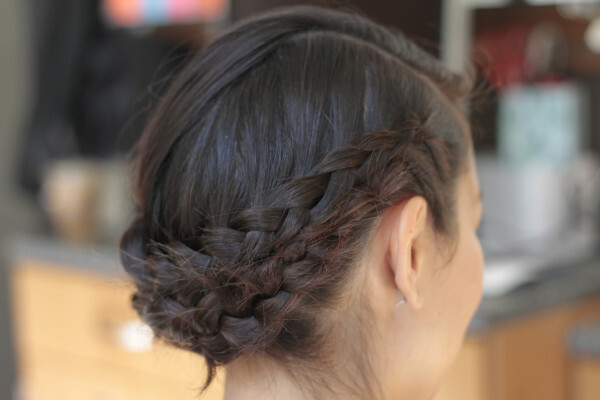 We will be hosting more braiding classes—get in touch us at mishi@morphicbeauty.com if you are interested!